We've all had a rough week at the office, but Fiat Chrysler may have just topped the lot. The automaker has recalled 1.4 million vehicles in the US after two hackers were able to take control of a Jeep over the internet. 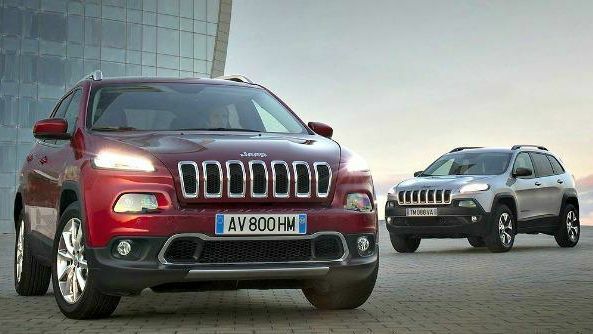 The mass recall comes after Wired magazine published an article on Tuesday in which two hackers were able to remotely manipulate a Jeep Cherokee. The wiz kids were able to 'kill' the engine, activate or disable the brakes, control the air conditioning and even tune the radio. “The recall aligns with an ongoing software distribution that insulates connected vehicles from remote manipulation, which, if unauthorised, constitutes criminal action,” explains Fiat in a press release. Thankfully, if you're know that your vehicle is affected, then you don't have to take it to the garage. Fiat are providing the software fix on a memory stick, which you get by contacting your dealership. The update also brings additional security features, according to the automaker. The recalls tops off what's already been a terrible week for Fiat Chrysler. Federal regulators are close to hitting the manufacturer with a record $105 million fine for recall lapses covering millions of vehicles. Whether or not this new revelation affects that sum remains to be seen.